Believe it or not, not everyone likes your family pet. By keeping your pet in an identified space with a good quality dog fence, Fido can remain as a good neighbor. I know, I know, it's almost impossible to imagine that anyone who knows Fido doesn't immediately fall in love with her. She might just be ok with the neighbors but the things she does in their yard make for some unhappy relationships. This is just one of the main reasons why every pet owner has an obligation to control their pets traveling range with pet fencing. The problem, of course, is the about relieving themselves in someone else's yard, Yes, your pet may be friendly and would like to visit the neighbors but the fact is, many people do not share your love affair with your pet. They don't want the bother of picking up after an animal that's not theirs nor having their yards soiled with urine "hot spots" and doggie piles. Dogs, although usually very friendly also can be destructive of plants and landscaping, making many breeds poor neighbors. That's not to say that your dog isn't a nice animal. Dogs are typically social and enjoy the interaction with a variety of people. This play interaction, however, is not without consequences. Things get broken, chewed on an otherwise "enjoyed" by your pet no matter if they belong to you or the neighbor. Having to face an angry neighbor because your dog destroyed his prize-winning rose bush garden isn't something to be desired. There's also the issue of community security. This is especially true if your dog is a larger breed. Having a large dog escape the security of their yard could be seen as negligence on your part. Communities are becoming increasingly upset at pet owners who allow their animals free run of a neighborhood. Heaven forbid if your dog, while free, attacks someone or another animal. This is especially serious if the other dog or pet was on a leash. The saying is that a good fence makes for good neighbors. A good dog fence also makes for a happy and healthy environment for your pet. By securing your dog using secure fencing, your best friend also has the security of knowing where his yard boundaries are located. There is no need to "guard" anything beyond the fence lines so your pet is more inclined to stay in his yard to better "watch" his property. Overall, electronic dog fencing is a good investment no matter what type of dog you may have as a pet. A DOGS COMMUNICATION - Could Your Dog be Trying to Tell You Something? Is barking a form of language among dogs with precise significance, or just playful noise? 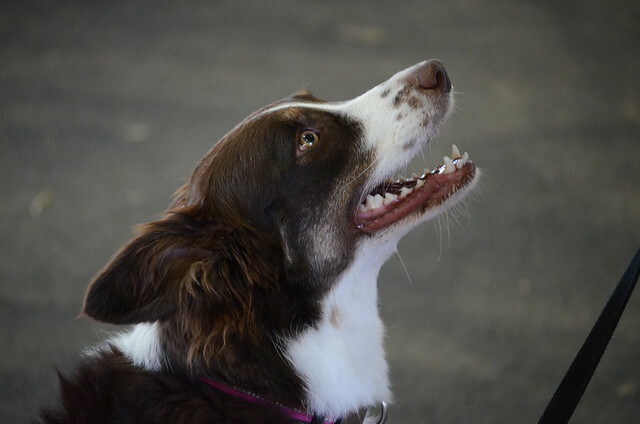 Dogs exchange information among themselves less by voice than by a wide range of facial expressions, body postures, and gestures, as well as by various scents. Dogs, who bark at night, are probably working off excess energy or announcing their presence, and this is undoubtedly the only message conveyed to other dogs within earshot. 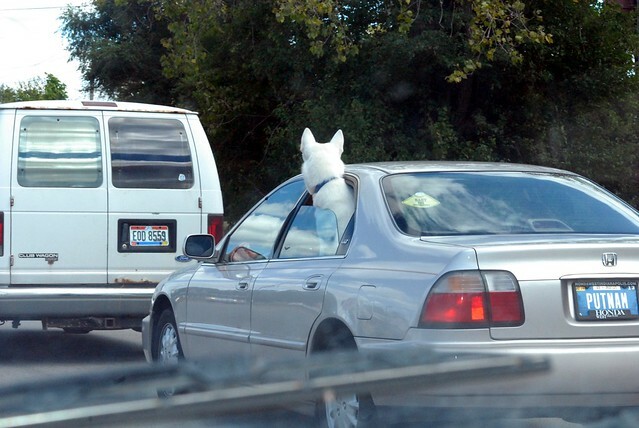 When a dog goes to his owner and deliberately barks, it is simply meant to attract attention. You must try to guess his general behavior, rather than from the circumstances and his general behavior, rather than from the particular form or pitch of bark he makes. The howling or baying of hunting dogs is an instinctive hunting cry informing the pack that the dog is on a trail. Barking at strange noises is a warning as well as a threat display. A lonely dog who bowls may be sending out a gathering cry to other dogs nearby. Wild dogs on the other hand, never back, they only howl. Could the barking of domesticated dogs be a form of communication more closely resembling speech? A pet dog that shares a close relationship with his owner and has been taught to understand many words obviously makes an effort, sometimes quite successfully, to give meaning to his own utterances. A dog who wishes to assert his importance and boldness instinctively employs all of the effects that make him look bigger and more frightening, raising his back to increase his height and holding his head high in defiance. A dog who wants to show submission does just the opposite, making himself look small by crouching down with his tail between his legs and his ears laid back flat. A dog who wishes to assert his dominance will take a perpendicular position with his head over the other dog's shoulders, while nudging or pushing, with his neck arched, head and tail raised and tense. The conventional play invitation is a posture with the forehead crouched, the hindquarters high, a wagging tail, bright eye and a little yap. A rigid stance with a steady gaze and a high, trembling tail is hostile. A high, steady tail signifies self-confidence, and held low indicates inferiority, fatigue, ill health, or a bad mood. Pawing at the neck is an expression of affection, nose-nudging is another invitation to play. Paw-giving is a conventional canine gesture with two possible meanings. When he gives his paw to his owner while avoiding eye contact he's saying "Please forgive me" or when he wants attention, he is saying "I'm here, don't forget me." When he offers his paw to another dog, it's a sign of submission. 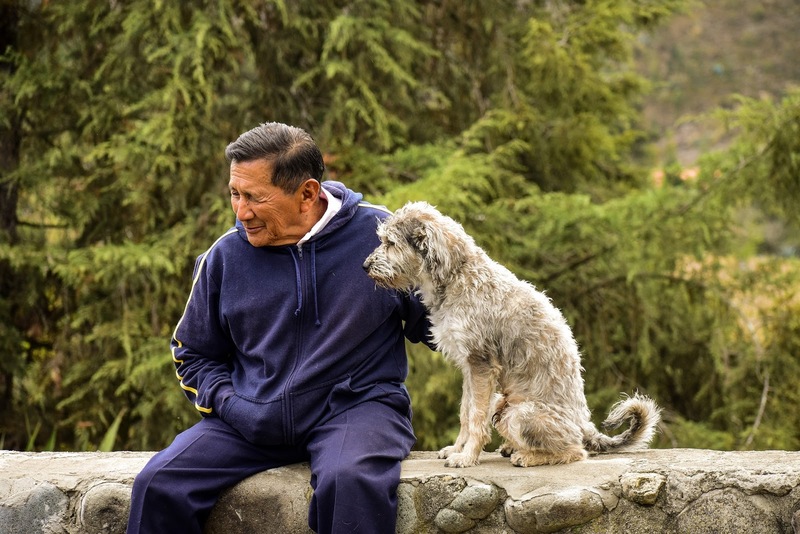 An owner, who takes the trouble to observe his dog and pay him the courtesy of listening to him, can establish a simple two-way communications system with his pet. Canine messages are generally very elementary, as he asks much less of us than we do of him. "I'm hungry," "I'm thirsty", "I need to go out", or "Come with me I think something is wrong" are among the messages he manages to convey very well considering his limited means. His most eloquent utterance is the emotional gurgle of barks that means to say "I've missed you!" All dogs bark, it’s their way to communicate a message. Dog barks for various reasons: to greet, to alert, out of boredom, to attract attention or when they are excited. 1. Set up a situation where your dog will always bark. For example, you can ask someone to ring your doorbell or knock on your door. 2. When your dog charges to the door and starts to bark loudly, approach your dog, grab his collar and give the command “quiet” – no shouting please, it doesn’t help. 3. If he stops barking, praise and reward. He’s a genius and deserves it. 4. When he continues barking, close his mouth with your hand, wrap your fingers around his muzzle – use both hands if needed, and give the command for him to keep quiet. Praise if he stops. Most dogs would be able to learn the “quiet” command with repeated training like this. Set up similar situations to "lure" your dog to bark and repeat training whenever possible. 1. Vinegar-Water solution – mix a proportion of 7/8 water & 1/8 vinegar together. Pour the mixture into a water pistol or what kids call “super soaker” for longer distance shooting. 2. Aim and shoot at his chest whenever he can’t stop barking even on your command. Dogs hate the smell of vinegar and would usually back off and stop barking. He’ll even sneeze a few times. It’s harmless so you need not worry. 3. As always, praise him when he stops barking. For your information, your dog might still be barking noisily and disrupting your neighborhood when you are not at home. In this case, you’ll need a training equipment known as “bark collars” to help train him. 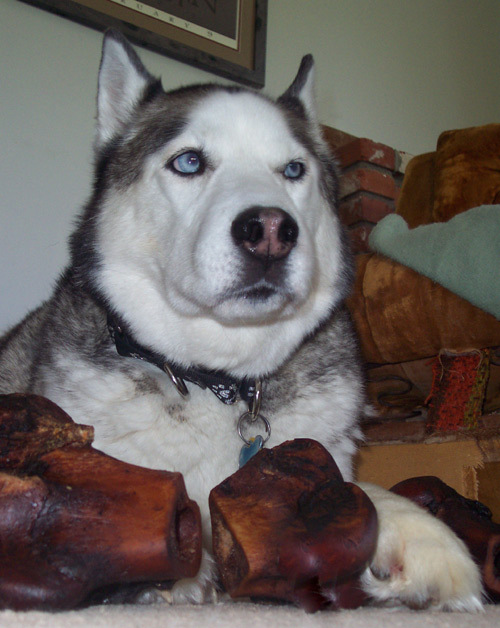 There are several types of bark collars on the market. Some of these collars send an electric shock to your dog when he barks, some make a high pitch sound or emits a squirt of citronella which is annoying but safe for your dog. Usually, these collars can help you solve a problematic barker. Personally, I’ll recommend the high pitch sound or citronella collars. They are very effective and more humane dog training tools. To teach your dog tricks even easy ones you need to have some small reward treats, be in a quiet suitable place and keep the training sessions to 10 - 15 minutes or your dog will start to get bored, remember when he gets something right lots of praise and a reward treat, just be careful not to get him overexcited or he will lose concentration. Getting your dog to give you his paw, first get your dog to sit, then as you say the word 'paw' take your dogs paw in your hand, give the dog a treat, repeat this, after a few times do not take his paw so quickly, say the word, count to one then take it, you should notice he is bringing his paw up as you say the word if he does not go back to saying it at the same time, do it a few more times then slow your response again. After 2 or 3 sessions most dogs pick this one up quite happily. The high five, like a lot of tricks the high five, is a progression of an earlier trick, in this cast the paw trick. Hold a treat in your fingers and raise your hand slightly higher than you would for the paw trick. Your dog will think you want to do the paw trick and will reach for the treat with his paw as we taught him earlier, as he reaches up you say “high five” and give him the treat. Once your dog has mastered the paw trick this one should be very easy to learn and with just a few sessions he will be doing it on hand signal rather than voice control. Getting your dog to jump through a hoop before you start this one I would just like to ask you to be a little sensible and not hold the hoop too high as you do not want your dog to heart himself while doing the trick. Sit your dog on one side of a hoola hoop, get the dogs attention on your hand on the other side of the hoop take a treat in your hand and give the dog the command to release him from the sit, at first he may attempt to go around or under the hoop, if this happens to start again, your dog wants the treat and will soon learn that going around or under does not get it so he will soon start going through it, when he does say hoopla and give him the treat. He will soon be jumping through the hoop on the command of hoopla. When I started doing this trick I had a medium sized dog (a Labrador) so I started with the hoop 6 inches from the ground and slowly raised it to waist height, if you have a smaller dog you might want to start with the hoop touching the ground so the dog just goes through the hoop and then slowly raise it as he gets used to the trick. DOG CLOTHES - Fad, Fun Or Functional?? Your dog is not just a pet. Your dog is not just an animal. Your dog is a bona FIDO member of the family!! So, of course, your dog needs to dress the part – right? Well, thanks to the internet and the many online boutiques you can dress your dog for every occasion from the comfort of your own home. 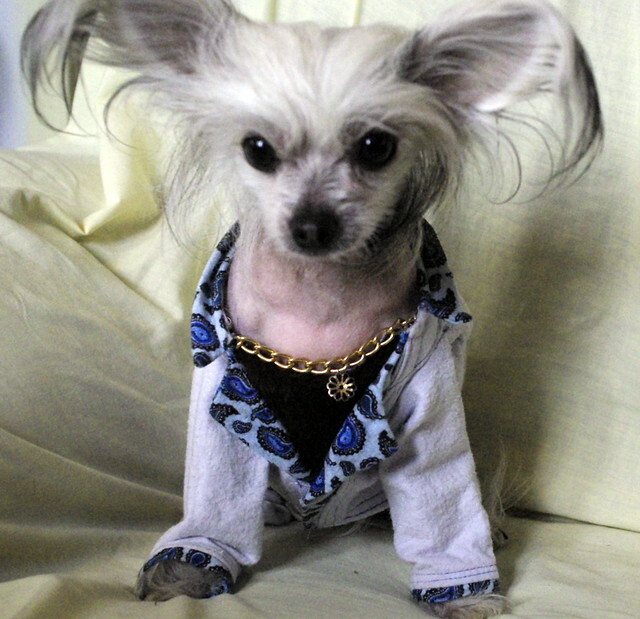 No more “granny’ knitted sweaters for your sophisticated canine!! But is dressing up your dog just something that you like to do? Is there any benefit to your dog? It all depends on why you bought the clothes!! A Dog Coat can be a very useful item of clothing for your dog. It can keep him warm in the cold weather, dry in the wet weather and can protect him from infections in the same way that our clothes protect us. It can also keep him clean which may be especially useful after a romp in the park on a wet winter’s day. Just take the coat off after it’s dirty and keep most of the dirt contained. Then you can let your clean(ish) dog into the car which helps keep the car cleaner. Dog coats come in many different styles and colors so pick the coat that's most appropriate for its use. And of course what dog would be seen out without the matching doggie hat?? Just like people wear, you can get ‘designer’ labels for your dog to make him feel like a million dollars, (and it probably costs that too). Many celebrities always have their dogs dressed in the latest doggie fashion. A practice that Paris Hilton with Tinkerbell has raised to an art form, or so it seems! Apart from coats and sweaters, other useful dog clothing items include dog t-shirts and dog sunglasses. These can look cute but they do also serve to help protect your pet. The sunglasses can protect him from UVA and UVB rays and the t-shirt helps protect his skin. Dogs can develop skin cancer the same way that people can and this is one of the main cancers in dogs. And you thought it was just to make Fido look cute!! As you can see, getting clothing for your dog is not just vanity on your part, although it is fun dressing up your dog. 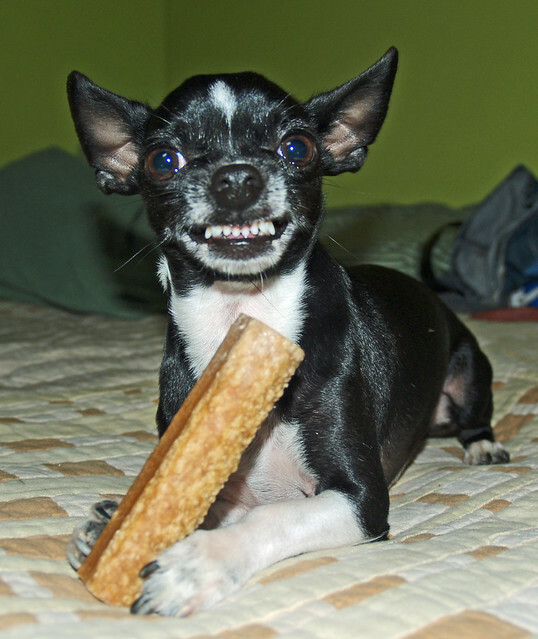 It can also play a vital role in keeping your dog healthy and happy. And if you do get the urge to step out on the wild side – get your dog some formal wear or a great costume for Halloween – go on have fun and buy your dog some great clothing today!! The trick of “sitting up” is easily taught to small dogs, but should try not be included in a big dog’s education, as it is difficult for them to preserve their balance. The training of sitting up is one of the first tricks to teach and forms the groundwork for many other dog tricks. To train a dog to sit up, prepare some treats as a reward, and set your dog on his haunches in a corner, so that he cannot fall either backward or sideways and has very little or no space to lose balance. Keep him from pitching forward by holding one hand under his chin and with the other hand hold the treat above his nose and keep repeating distinctly and deliberately say, “sit up.” Do not make him sit up too long at any one time, but repeat the lesson frequently and reward him often with plentiful of praise and treats. During his first lesson he will require considerable assistance from your hand to prevent him from pitching forward, but as he gets control of the balancing muscles and understands what you want, he will depend less and less upon your hand to keep him in position and you can gradually render him less assistance until you will only have to keep one hand in position two or three inches from his neck or chin, so as to be ready to prevent him pitching forward; later on you can withdraw this hand entirely and simply hold the treat just above the level of his head. By constant practice he will sit up well after you set him up; then he should be set up against the wall, so as to afford him a support for his back only, and after he has been well schooled at this and can keep his position easily, practice him against chair legs, cushions or other objects that afford him less and less assistance, until finally he learns to preserve his balance and sits up without anything to lean against. During all these lessons the words “sit up” have been impressed upon his mind by frequent repetition, and now comes the final lesson to teach him to sit up as soon as he hears the words, and the chances are, if he has been diligently drilled, it will be necessary only to call him out in the room, show him a treat, hold it up a suitable distance from the floor, say “sit up” and he will do so, when he should be given the treat while still in position. The only necessity to perfection is to practice him several times a day until he will sit up at the word and without being shown a reward; that can be given him after he has obeyed. You have now a foundation for many other tricks. He can be taught to beg by moving your hand up and down just in front of his paws, which he will move in unison with yours. He can also be taught to salute by bringing one paw up to the side of his head, or to hold a wooden pipe in his mouth, or to wear a cap on his head or other articles of wearing apparel. In teaching a dog to submit to being dressed up, do not attempt to get him to wear too many things at once; try him at first with a cap and after he becomes accustomed to that you can put on a coat and gradually accustom him to the other clothing articles. Enjoy teaching your dog the “sit up” trick and most importantly have fun along the way! What is housebreaking? Basically housebreaking a dog is training the dog whether it is a puppy or an older dog not to go to the bathroom inside or training it to go in the proper place. A simple concept in theory but it does take some patience. Housebreaking a dog is one of the most challenging aspects of owning a dog, especially if you're a first-time dog owner. It is best accomplished when he is a puppy, but even if you adopt an older dog that is not trained you can still housebreak him. 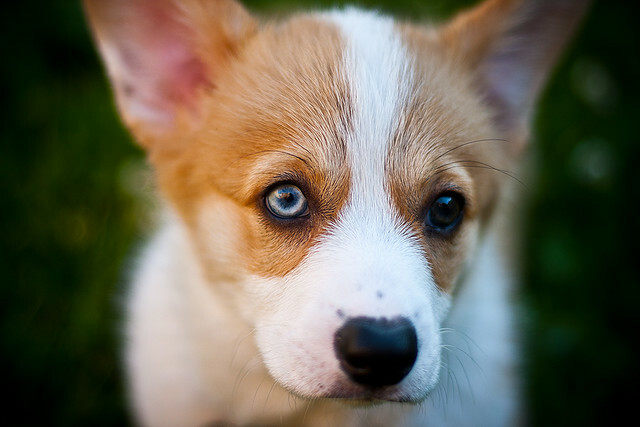 Housebreaking an older dog is not complicated and, in some cases, will even take less time than housebreaking a young puppy. Housebreaking a dog is a lot of work, but not as hard as you may think, and if you get a faithful friend out of the deal, it's worth it, don't you think. 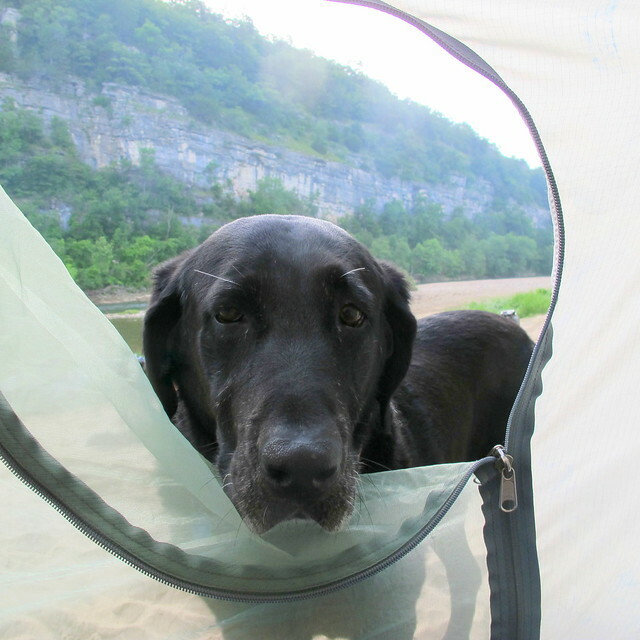 Dogs can not only be taught to go outdoors, but they can be taught to go in a specific area. Dogs are actually quite reliable when it comes to timing their bowel movements and urinating. It is very interesting that like humans, dogs appreciate a spot where they can relax and feel safe and protected. Dogs are extremely eager to please especially their owner which is why when done correctly, housebreaking almost always has successful results.While some dogs are housebroken much faster than others, how you treat accidents will affect your dogs overall learning curve. The key to housebreaking a dog is to remember that a dog is eager to please you.Remember also that positive reinforcement promotes faster and more consistent housebreaking training. 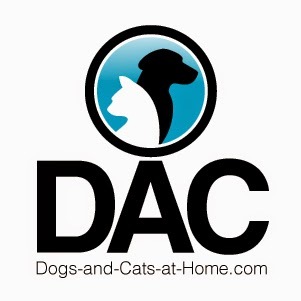 There are slightly different methods when starting a housebreaking method.One being crate training which is a great approach to housebreaking a dog.This approach to housebreaking a dog is based on the fact that the dog crate simulates a dog's den which he should naturally want to keep clean. Another method I have used with great success is paper training, whereby the dog is trained to go on the paper.And then take the dog directly outside... The one piece of advice I would give anyone trying to housebreak a dog is when they're ready to start going outside, designate a certain spot and take him out there every time. Potty training or housebreaking a dog is perhaps one of the most important training pet owners should give his/her pet dog. You must begin housebreaking your dog as soon as you bring your new pet home and the key to successfully housebreaking a dog is to never let it make a mistake in the house without being corrected. For everyone who believes that dogs truly are mans best friend, proper housebreaking is a key to a happy well-adjusted dog and owner. Any kind of training including housebreaking should be a solution to destructive, aggressive and unwanted behavior, housebreaking issues, socialization problems, issues with kids, other dogs etc. It just so happens that housebreaking is a good start!